It happens to almost everyone. 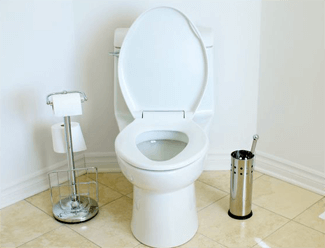 If you have had problems with a toilet that often clogs, runs, leaks, or lacks flushing power, J.B Plumbing and Rooter’s toilet repair and replacement services can help! Our professional plumbers have the knowledge and experience to repair a variety of common toilet problems! Unfortunately, sometimes a simple repair isn’t an option. The professionals at J.B Plumbing and Rooter can also install new toilets including new low-flow and high-efficiency toilets to replace old toilets as well. Our professional plumbers can also help you compare the different types of toilets available and select the best toilet that will meet your needs while helping you to conserve and save water. To learn more about our toilet maintenance and installation services that are available to clients in and around Los Angeles, please contact our plumbers today. You can also contact us for emergency toilet repair or to request a free repair or installation quote.